Off To The Beer Seminar! Today is a great day for beer appreciation, because it is the day that I finally get to host my long-overdue beer-tasting and history of beer seminar. Ten participants have signed on, the space has been reserved, and in a few hours time, I will be giving the attendees a quick (well not too quick) run-down on the history of the brewing craft, coupled with some generous sampling. I’ve prepared the following list based on what I could find and what seemed indispensable to me as far as representing the history and full range of brewing was concerned. All told, they are divided by style more than historical period, but I will be presenting them in this order since it gives a pretty good idea of how the art evolved over time. The seminar will begin with where and how beer became a cornerstone of civilization – emerging alongside agriculture and sedentary communities some 8000 years ago in the Fertile Crescent. I will then go on to how the rise of wine making introduced a sense of cultural distinction during Classical Antiquity, and the influence was largely confined to the parts of Europe where the Roman Empire had influence (France, Spain, Italy, the Mediterranean, but not Germany, the Low Countries, Eastern Europe, or the British Isles). Then comes the Middle Ages, the establishment of Abbey/Monastery Brewing, the rise of hop use, the advent of Lager and the growing professionalization of the industry. Which then gives way to the industrial revolution and the emergence of brewing as a big business, followed of course by the modern era and the resurgence in craft brewing. It promises to be interesting, I just hope I can keep it down to 20 minutes. Leaves more time from sampling! I’ll be sure to let you all know how it goes and I hope to repeat it in the very near future with some other (and larger) groups of people. It’s just one day to Christmas, and as expected, I finished the pack of Historic Ales early. Call me self-indulgent, but there was simply no way I couldn’t let my curiosity to get the better of me. It’s been many years since I drank from this pack, and my tastes have become somewhat refined in that time. And interestingly enough, I found that I actually enjoyed the experience more this time around. So without further ado, here are the last two samples from the Williams Brother’s historic lineup. My favorite of the pack, the Ebulum Elderberry Black Ale is brewed in accordance with the Celtic tradition that was introduced to Scotland by Welsh druids in the 9th century. Traditionally, this ale was crafted and then passed between the people of the village during the Autumn festival. The recipe for this particular beer was taken from a 16th century record of domestic drinking in the Scottish Highlands and is brewed with roasted barley and chocolate malt, then infused with elderberries to deliver a dark, rich, malty beer with a stout-like flavor that also has some satisfying fruity notes. It is also the second strongest beer of the collection, weighing in at 6.5% alc/vol, making it an all around very pleasant drinking experience. Whenever I get a pack, I usually go for this one first. I feel my restraint this year is to be commended! The most ancient and venerated style in this collection, Fraoch takes it name from the Gaelic word for “Heather”, and just happens to be the oldest variety of beer still consumed today. 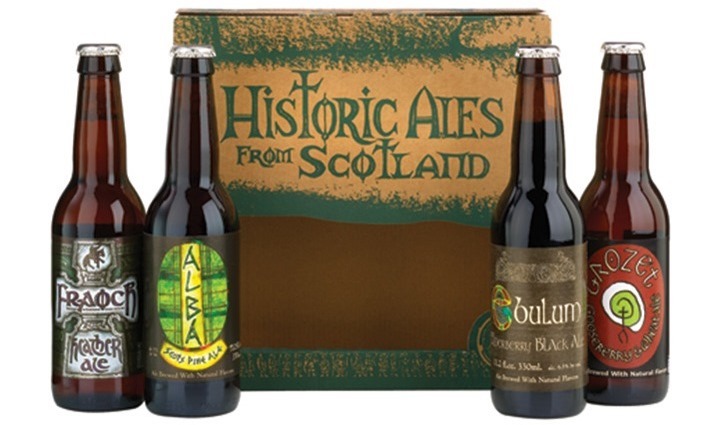 For over four thousand years, this sort of beer has been brewed in the Highlands, and is often associated with the Picts who ruled Scotland until the 9th century (hence the label art, which is Pict-inspired). The beer a combination of boiled barely, sweet gale, and an infusion of heather flowers, a flora native to Scotland. Until the 18th century, when British law mandated that Scottish brewers begin using hops, it was extremely popular. And although it is very understated and subtle, much like the Grozet, I can certainly see the appeal. In addition to being golden in color, the beer also has a sweet, honey-like smell and taste, with a touch of peaty flavor, and is one of their lighter beers, weighing in at 5% alc/vol. Now if you’ll excuse me, I need to go get more Christmas beer. Somehow, my supply became mysteriously depleted… Merry Christmas to all and hope it finds you surrounded by friends, family and plenty of good food and spirits! Germany has always been a nation that is proud of its brewing heritage. So much so that the country’s brewing association recently began pressuring the United Nations to recognize that fact. In essence, the brewers association wants the Bavarian Purity Law (or Reinheitsgebot) – established some five centuries ago in 1516 – to become part of the UNESCO World Heritage list. In this respect, it would join the Argentinian tango, Iranian carpet weaving and French gastronomy, among other famous traditions, that are considered unique and worth protecting. 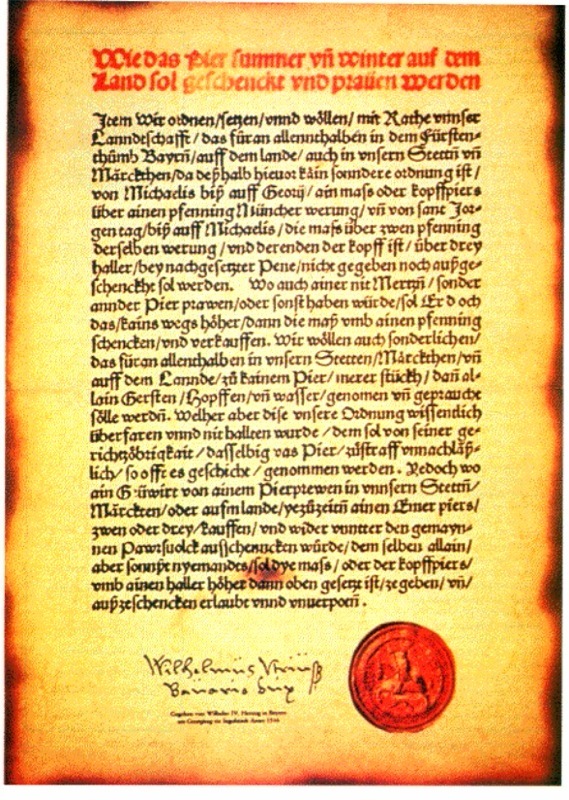 Written by Bavarian noblemen in the year 1516, the law states that only water, barley and hops may be used to brew beer (contrary to popular belief, yeast was added to the list centuries later when scientists discovered the fermenting agent). The law was aimed at preventing crops used to make bread from being squandered on brewing. In addition, it wrote the centuries-long practice of using hops to flavor and preserve beer into law – a practice which also ended the use of other psychoactive and potentially poisonous additives during the Middle Ages. 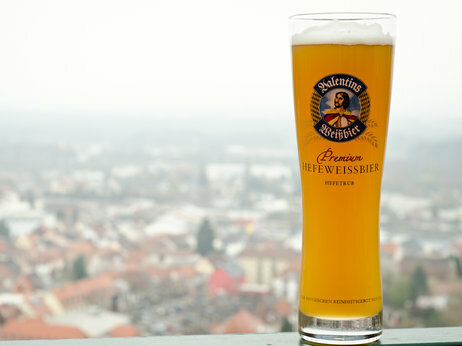 But over time, it became synonymous with high-quality German beer and began to be adopted by brewers all over the world. 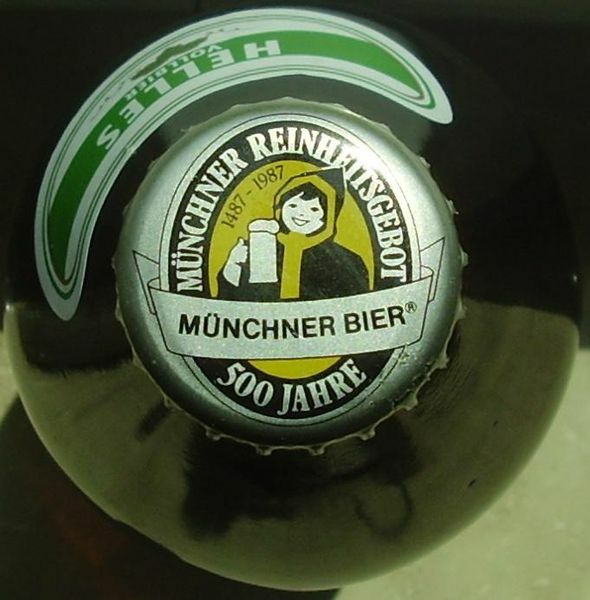 Currently, some 5,000 different beers carry its seal. Many brewers today still make beer that would pass muster under the law, though penalties for breaking it are long gone. Modern German brewers are also trying to be more creative with their beers while adhering to the purity law — for example, by adding hops that taste like grapefruit or pineapple. And for many Germans, especially those who endured the many decades of partition during the Cold War, the tradition is something they are especially proud of and want to see recognized internationally. It stands for the things you are thinking of when you think of Germany and beer and culture and friendship and all these positive things. I think it’s a traditional thing because it brings us together and holds us together as a nation within this more and more international lifestyles… The idea and message is that German beer is pure and will be pure in the future. However, some German brewers dismiss the attempt to gain UNESCO recognition as mere arrogance. They say the purity law is from a bygone era and that Germany can compete in the world beer market without it. Opponents of the law claim that limiting his brewing to the centuries-old document restricts creativity. What’s more, they point to the fact that many nations produce high-quality beer that does not adhere to it. For example, Belgium produces such styles as Wits, Saisons, Framboises, Krieks, and Farmhouse Ales that make use of coriander spice, fruit, and other additives that are not permitted by the law. But these styles are internationally renowned and are considered historic examples of fine brewing. In this respect, opinion is roughly divided along lines of culture and historical preservation, and modernization and globalization. Personally, and as someone who’s wife works in Heritage, I can certainly sympathize with those who wish to see this law protected. All too often, the process of modernization and change has the effect of eroding our cultural foundations. At the same time, I can sympathize with modern German brewers who would like to expand and adopt new ways of making beers. And since penalties associated with it have not been enforced for some time, there really is no reason to fear it remaining in effect. And if the modern brewing industry has taught us anything, there’s much to be gained by marrying tradition to innovation. For those who want to get truly experimental, there’s plenty of opportunity to be had. And for those who want to keep making beer according to centuries-old traditions, I’m sure their will always be a market. And let’s not forget that we can do both. If the craft brewing revolution has taught us anything, it’s that we can experiment and innovate and keep traditions alive all at the same time. And In the meantime, drink up, and have a happy holiday season!